We know on the federal level a couple of years ago things started off like gang busters or deficit busters or budget busters or spending busters … well you get the point. Thankfully, the sleeping giant awoke and has started to take back the country. It will take more time and effort, but it will be done. Here in Missouri, there have been some bright spots. We had a governor (Blunt) who didn’t spend every dollar the state took in, something that the liberal/progressives thought was just terrible. However, it resulted in the state having a better position when the latest downturn hit. Governor Nixon has continued a fiscally prudent approach to budgeting despite making a campaign promise to restore welfare programs cut by the previous administration. If he had been successful in keeping that promise, the state would be as bad or worse off than neighboring Illinois. And that’s pretty bad! Regardless of the side of the fence you are on, liberal/progressive or fiscal conservative, most agree there is a structural problem. Now the liberal/progressives who think the state can never spend enough think the structural problem is not enough revenue. The fiscal conservatives believe it is too much spending. The bad news is the liberal/progressives make several attempts at creating more revenue while the fiscal conservatives move the deck chairs around on spending. An example of the latter is the use of the federal so called “stimulus” money. The Missouri House had the best idea. Take this one time money, spend it on a two-year reduction in taxes for all Missourian’s and make the necessary cuts in the budget. Unfortunately, they folded on that idea and the result is that Missouri now faces a significant shortfall in Fiscal Year 2012. This, of course, gives the liberal/progressives yet another opportunity to continue their clamor for more revenue. Over the years, I’ve come to realize that the problem is a combination of both issues: too much spending and too much dependence on a very volatile and productivity killing revenue source, the income tax. The past few years, the discussion of replacing the state’s income tax with a consumption tax has taken place in the General Assembly. This has come to be known as the Missouri Jobs and Prosperity Act (MJPA). Opponents continue to distort either purposely, or out of ignorance, what the proposal would or would not do. They distort various studies and use them as “see we told you so” examples. It’s very hard to say whether the opponents really believe the false information they espouse and do so to confuse people or whether we should feel sorry for them because they really don’t get it. Just as we see on the national level, liberal/progressives believe that if they can scare people enough, they can confuse them and convince them to vote against good tax policy. When I was budget chair, many of these same opponents went around the state giving their dire and “informed” projections about how wrong we were going to be and how disastrous it was going to be for the state. These opponents were very adept at convincing everyone who received state money during that time that the world as we know it was about to end. Sounds familiar doesn’t it? Turns out, we had done our homework and they were embarrassingly wrong. One superintendent told me that crow did not taste so good. Now, we see a redux regarding the MJPA with many of the same opponents saying many of the same things in order to protect the status quo. All I can say to these opponents is that we’ve done our homework on the MJPA, just as we did on the budget, and you are wrong. To be fair, there have been several legislative proposals regarding replacing the income tax with a sales tax. Some were not very well presented or written. This has allowed the “state doesn’t spend enough” crowd to choose what they consider the worst of all the proposals, put them into a basket and come up with some outrageous numbers that don’t reflect the reality of the real proposal. If the opponents of the MJPA are not distorting the actual proposals, they are usually distorting other data. The most recent example of this is the recently released Show Me Institute study entitled, “Income Taxes vs. Sales Taxes: a Welfare Comparison.” The opponents say that the paper clearly shows that an 11.9% sales tax is needed to replace the income tax. However, if one carefully reads it, something I would suggest opponents do and then have someone explain to them what it says, the paper shows that the elimination of the income tax and replacing it with a sales tax will greatly improve the “welfare” of the citizens of Missouri. The best example of the proposed MJPA so far is Senate Substitute #3 for Senate Joint Resolution 29 from the 2010 session. 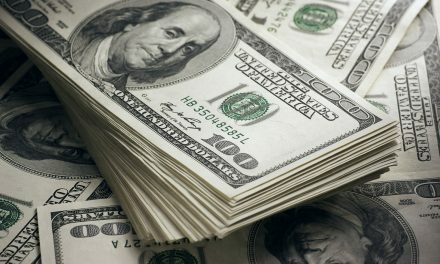 The Show Me study does not attempt to use this or any other legislation to prove that eliminating the income tax and replacing it with a sales tax. The study merely uses economic models to show that when you take such an action as proposed, people do much better than with the current system. Over the coming weeks and months, we will provide additional information regarding the MJPA and how it will make Missouri the economic engine of the Midwest. Kansas is hard at work developing its own version and Oklahoma is not far behind. Missouri has the opportunity to be a leader in the Midwest. As in most cases, this is a race where being first pays greater dividends than coming in second. Judge Ted House Agrees: The Charter Means Something! 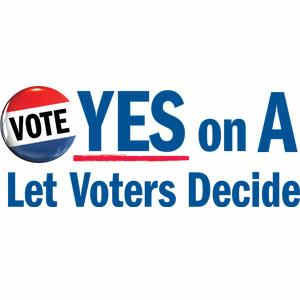 Prop A – Let Voters Decide Makes Sense, Unless You are a Big Government Supporter! So giving the top 2% richest people a tax break and increasing taxes on those in poverty is going to help?Even though the filthy rich would still be just fine without the tax break, and money that could be used for economic, social, or just to pay back debt? What are you smoking, and can I get a hit? Same old false class warfare argument and most people recognize it as such. Government does too much now. The taxpayers can’t afford bigger and bigger government. 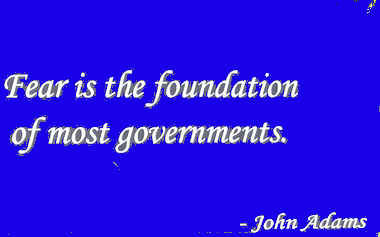 The government does too much already on a social basis that it has no authority or business in doing. Government programs are largely responsible for much of the poverty people experience today. Too many social programs that have resulted in poverty as a way of life with no way out. The MJPA requires the legislature to establish a rebate program that would be aimed at the poor to whatever level the legislature believes is appropriate and affordable. Everyone, poverty stricken or not should carry their load for supporting the operations of the state and federal government. With 47% of families NOT paying US Income taxes and thus state income taxes, that isn’t happening today. The rich consume more and higher priced items that would be taxed. The rich will still be supporting government at a higher level than those in “poverty”. Raising taxes on the rich doesn’t pay off debt. Reduced spending will reduce debt. Sounds like you’ve already been smoking something that is affecting your thinking.